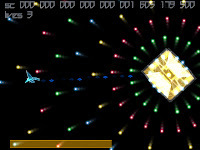 Bite the Bullet is the latest creation by 9_6, developer of the colorful Hyper Wars: The Mega Firestorm. The game plays very differently from standard shooters, in which the player has to avoid bullets for as long as possible to increase the bonus count. 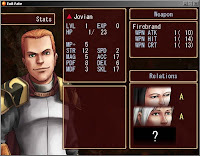 Shooting with a bonus greater than ten will activate the autofire mode and imbue the ship with temporary invulnerability. The number of homing projectiles shot during this period depends on your bonus counter. Press the A key to shoot and hold the S key to activate the slow motion mode, but only if the gauge shown at the top right of the screen is filled up. 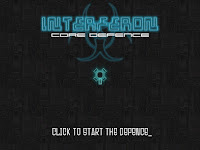 This bar replenishes steadily over time, and holding the same button will change your ship into a hit box, allowing players to easily dodge bullets. The bonus counter increases when the player doesn't fire any shots. 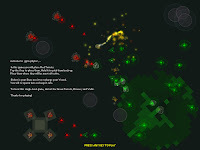 Destroying an enemy ship awards the player with a health collectible, though acquiring one can be a rather difficult task as your adversaries do not stay around for long. 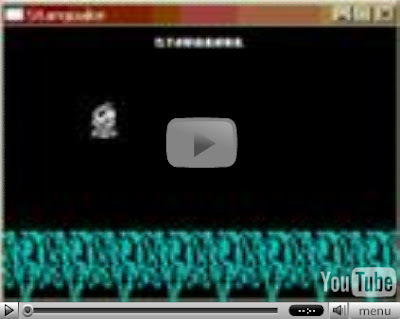 Found this gameplay vid of a homebrew game called "Odyssen" by SteevTee on YouTube. 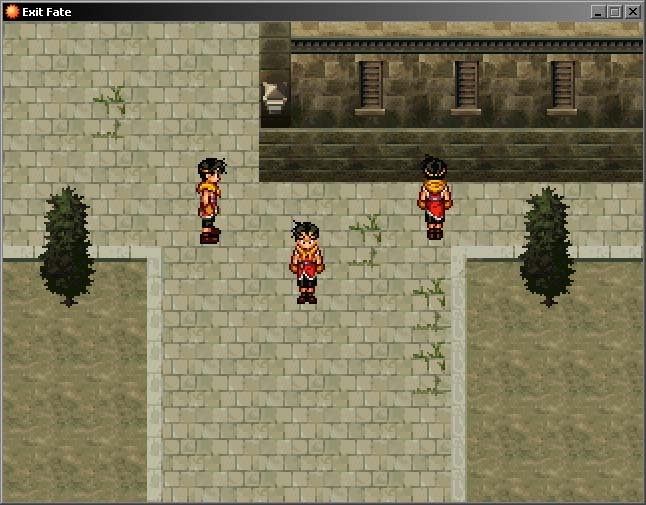 The game is said to be in an early development stage, but the graphics are already slick and the gameplay looks fast paced and varied. The author describes it as inspired by Gradius and Treasure's shmups, which probably rings well in a lot of ears. There's a thread about the game here. Why not give the guy some feedback and encourage him to keep working on it. The development diary for Puppy Games' Time Bandit tribute, Treasure Tomb can be found over at the javagaming.org forums. 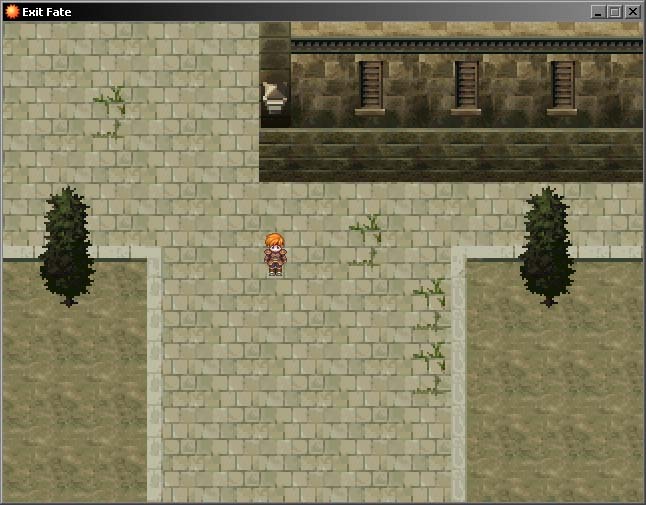 Nream is a commercial engine (made using Blitz3D) which allows the creation of 3D adventure games with little effort. There are different modules to help make maps, define events, make tiles and more. 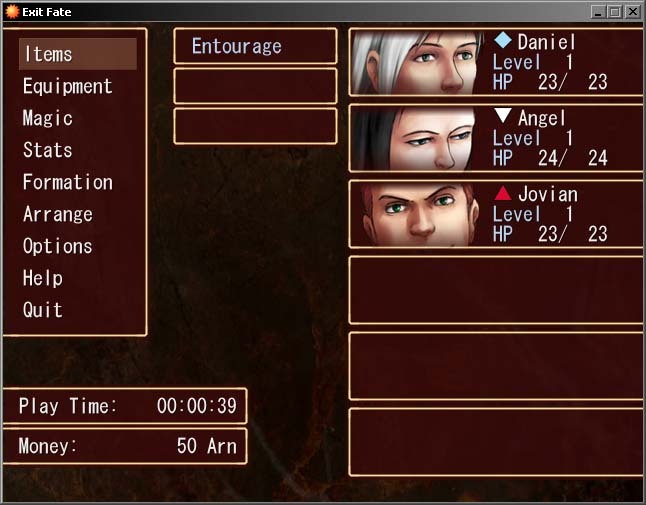 Almost all aspect of the engine is scriptable, including menu, save/load menu, and even the title screen. 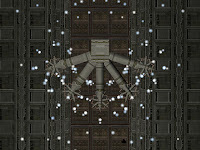 A new set of screenshot for the upcoming vertical shooter Yakouga 4 posted. cactus is working on a 3D update for Fractal Fighter. There's a huge post about GR3's Rose and Camellia; presumably the game will be released sometime in July. Pictured right, a Go Nintendo scan from Maniac! 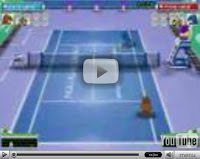 (a German magazine) showing exclusive shots of how the student project De Blob will look like on the Wii. De Blob is currently being developed by Blue Tongue Entertainment, and will be published by THQ as a Wii exclusive sometime in 2008. The original school project is still available for download from a GameDev.Net forum thread posted last year. 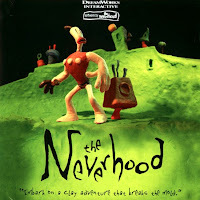 Frederator Films, an indie feature film company with the aim of producing 2-D animated genre movies with a budget of below $20 million, had recently announced three upcoming projects - with one of them being a claymation feature based on The Neverhood. The original creator, Doug TenNapel will be involved as the writer and director. As stated by Doug himself, "I have absolutely no desire to redo the Neverhood game look... that was what it needed to be for 1995. I'm putting everything on the table story-wise and saying, What is the Neverhood about and who is Klaymen? I've been redesigning the characters and figuring it all out again with a feature-length story in mind." Gameplay videos from Wilfred, the Hero and Bite the Bullets. 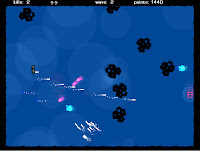 Vortex is a new abstract arena shooter by Jordan Browne, a Game Maker developer known for his Shuttle series. 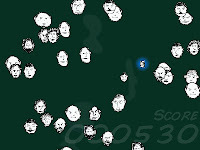 Use the Z and X key to shoot in either direction, and eliminate twenty enemies from each wave to complete a level. An extremely promising project marred by poorly implemented controls. 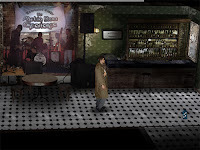 Purgatorio is a short adventure game by Jonathan Lynch which tells the tale of Frank O'Shea, a soldier on a peacekeeping mission who was knocked unconscious and injured in the line duty. 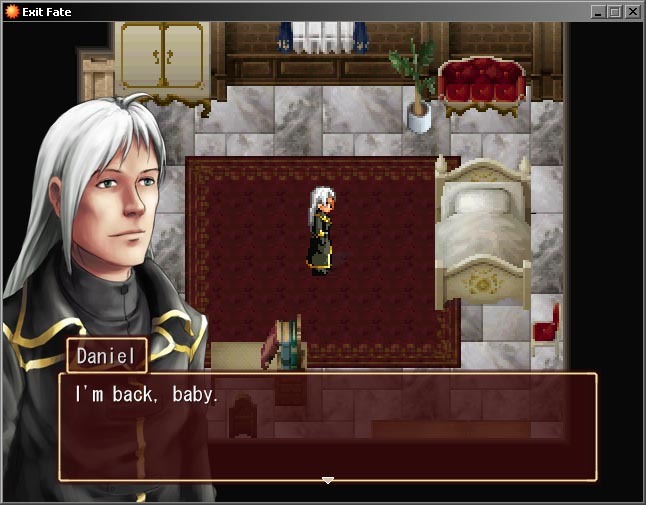 He awakens to find himself wounded and in a strange, but somehow familiar town. 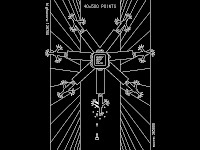 The game features a mix of photograph and hand drawn art, with the results looking far better than another similar attempt called Soviet Unterzogersdorf. 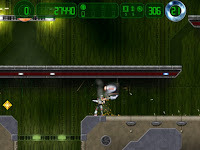 Bite the Bullets is a tech demo made by Ishi to test out a new bullet pattern creation system, hence the lack of enemies and intricate level designs. 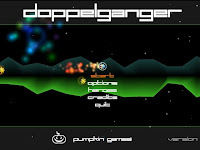 The gameplay is simple, avoid bullets while directing your shots at an abstract geometric shape to score points. Players shooting from a shorter distance are rewarded with extra points. Hover the mouse pointer around a menu option to make a choice. No button clicks are required. I've had over 3 years experience making games in flash, which unfortunately struggles a bit in regards to speed, which means making decent shmups can be quite a challenge (especially when like me, you like the screen to be full of bullets). 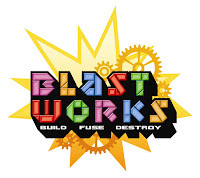 Press Release - Developed by Budcat Creations and scheduled for a Q1 2008 release in Europe, Blast Works: Build, Fuse & Destroy is a side-scrolling shooter that lets players craft the game to their liking by building their own levels, ships and enemy ships. 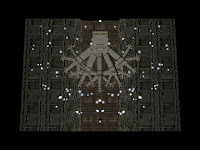 In addition, players can "absorb" the pieces and weapons of destroyed enemy ships to bolster their own defenses during battle. 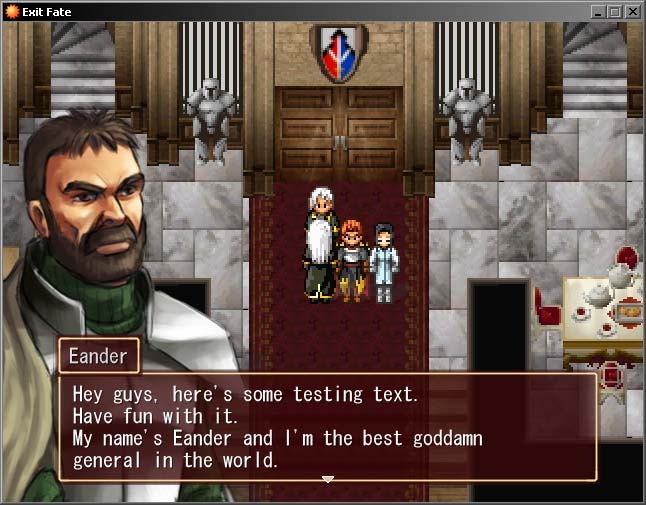 Wilfred, the Hero is a rare breed of RPG Maker games with entirely original content, save for certain sound effects. 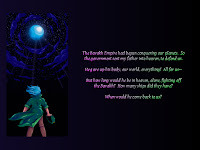 A collaboration between Brandon Abley and Teo Mathlein, the story is basically about two buddies named Wilfred and Kyr-Stan on a quest to save their world and rid it of evil once and for all. Of course, things are never simple especially when the hero has doubts about his destiny. This theme is explored frequently, and the accompanying soundtrack does a great job of setting each melancholic scene perfectly. Some may remember Teo as the artist responsible for Sunset Over Imdahl, which explains the Misao award it won for the best visual consistency category. The main characters are easily some of the strangest, with Wilfred acting as the Pyramid Head wannabe and Kyr-Stan assuming the role of Lugaru reincarnated. 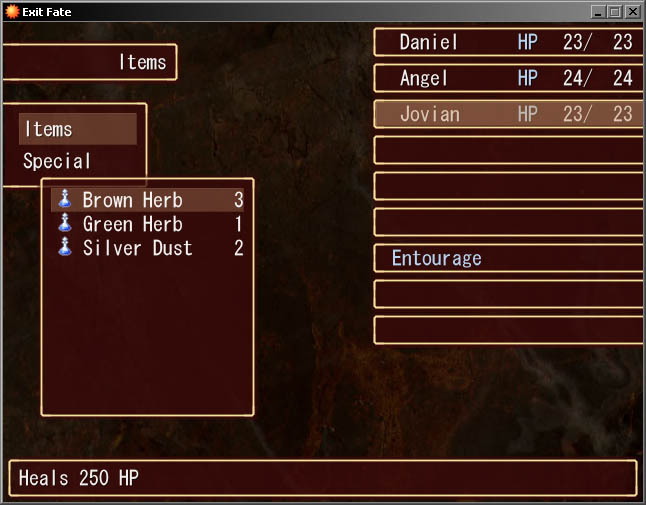 There are no potions to gather, since Hit Points and Mana Points are restored completely after each battle. 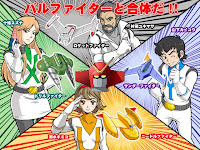 This download only chronicles the first chapter, while the music is available to download from this page. Press TAB to activate the console. Too many developers are making "cheap knock-offs" of successful games and holding back growth of the casual games market, according to Jason Kapalka, chief creative officer at PopCap Games. With low development costs, studios are able to churn out copycat games in a short time, but these titles rarely make enough money for developers to grow past a hand-to-mouth existence, says the PopCap founder. "Very few games are developed without reference to past games. 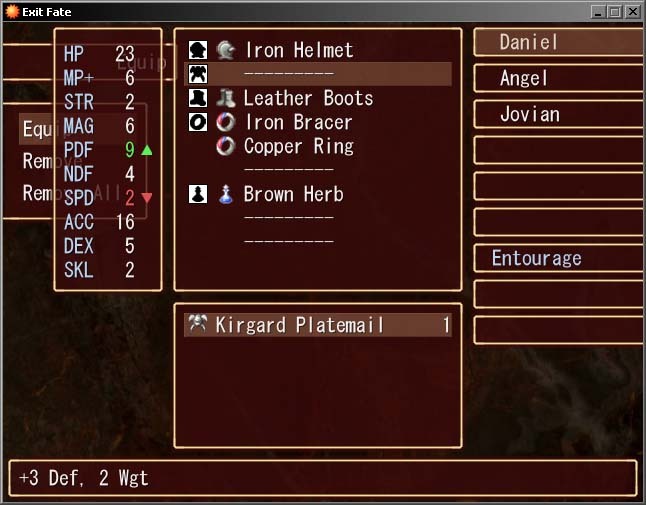 There's always going to be titles that build on a previous mechanic or game. But there's a fine line between that and very bold-faced rip-offs that aren't adding anything to the game and are just trying to make a quick buck," said Kapalka, in an interview with GamesIndustry.biz. 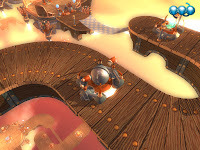 A finalist in IGF's 2006 Technical Excellence Category, Switchball's (then known as Crazy Ball) publisher was never made known to the public due to contractual terms. But digging through some dirt has revealed that the big S might possibly be the secret party which is expected to distribute the game once it is completed and ready to ship. Coincidence? Based on impressions from the demo, Switchball has often been described as a spritual successor to Ballance - another ball-shuffling action puzzler. Presumably the new build will support the AGEIA PhysX physics hardware. Demos for both Switchball and it's predecessor are still available for download from Atomic Elbow's web site. 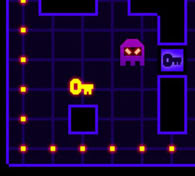 Bloxorz is a puzzle game which involves shuffling a piece of block across a suspended maze. The objective is basically to get the block to fall through a square hole at the end of each stage, all the while trying to avoid falling off the edges. There are thirty-three stages to complete. Development notes can be found here. Tomaz Kac (Army of Trolls, Head Over Heels) interviewed by Auld Games. Strangely he mentions a remake of StarQuake as well. Coincidence? Game Maker developers now have two additional tools to add to their collection. 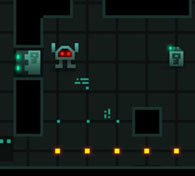 The first is a source template by Ablach Blackrat which can be used to make one switch games, while the other is a Physics Game Level Editor made for the creation of physics-based games. Petri Purho released a level pack for Crayon Physics which includes four new stages. VSB Labs (a provider of essential technical and design services for indie developers) has announced a new payment option - royalties percentage. A good option for start-up developers creating their first project without sufficient funds to order high-quality content and also for experienced developers wanting to keep their game budget small. Stencyl is a universal platform for tile-based game creation with an emphasis on user-friendliness and adaptability to many different genres. In other words, it's a tool that lets you create practically any standard kind of 2D game in existence. 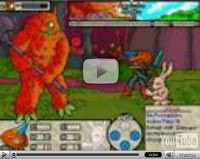 StencylWorks, the game builder for Stencyl, is the tool that you'll be using to create games. It will be unveiled later this year. 3D games are not supported, but all creations made using this open source freeware development tool will run on Mac and Linux as well. I'm skeptical, but a lot of promises were made and if the developers keep their word then it could possibly rival Mark Overmar's popular Game Maker. Parallaction engine Nippon Safes Inc. The list of supported games and screenshots can be found on this page. 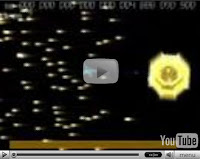 Lemmings DS is a port of the classic action-puzzle game Lemmings for the Nintendo DS. Version 7 has 120 levels from the original games, plus the 100 extra levels from Oh No More Lemmings. This version also supports DLDI, so now it will hopefully work on all manner of DS flashcards and reach the wider audience that it deserves. Oh, the source is available too if you want to check it out. Hurrican is essentially a modernised, graphically-updated, feature packed version of Turrican. 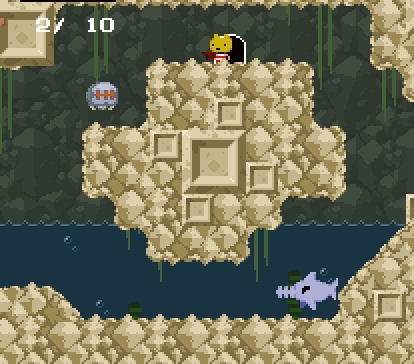 As with the original, the levels are large (and beg to be explored), the enemies come thick and fast from all angles and the game is far from a pushover. Due to the sheer number of features included, the controls tend to feel a little over complicated at times (there are so many combinations to remember) but the end result is still very rewarding. Greg Costikyan (of Manifesto Games) and Derek Yu (of Bit Blot) will join the review panel starting next month. Screenshots and reviews available from GameTunnel. A new interview with Nifflas was recently conducted by JeJeuJeux (thanks to Popoyt for the correction) and posted on their site. The entire article was translated to English as well, though readers would have to scroll all the way down and click on a line of text to reveal the English version. Knytt and Within a Deep Forest are both available from Nifflas' web site. You play as O'Sirus the Snip, a simple paper farmer who realizes he is connected to something much bigger. He'll struggle to join the Royal Guffaloon, the Crookian warrior police, he'll end up in the massive stronghold of the Bogold Empire, and eventually he'll be on the front lines of a huge war. I can't hide the rock, paper, scissors theme with my screenshots, so I'll say it has a big part of the way things work in the Knobbly Crook. Magic takes many strange forms, and O'Sirus controls those three elements (Tic is his paper bird). A short one room demo is available for download. The first CPS3 arcade system board debuted in 1996 with Warzard (known as Red Earth outside Japan), and more than ten years later the encryption that prevented MAME from running CPS3 ROMs were finally circumvented by Andreas Naive. 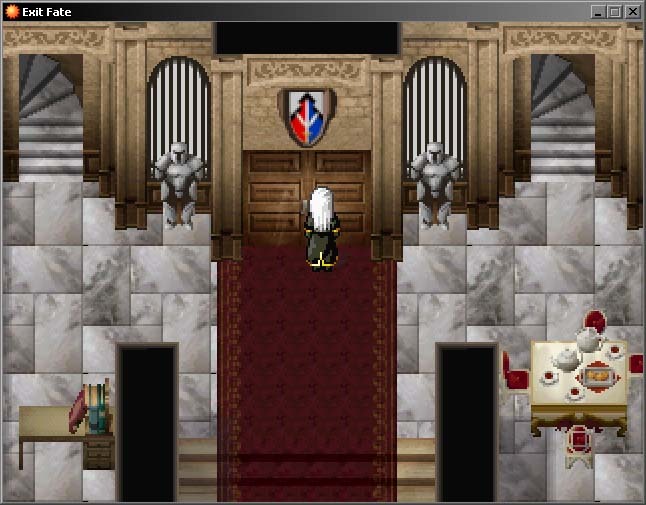 Haze (David Haywood) then quickly went to work on the emulation, with all of their current progress documented on this page. 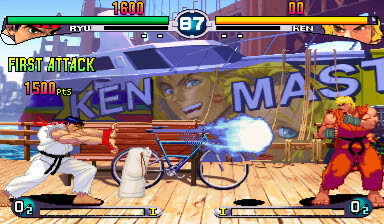 Owners of defunct CPS-III arcade system boards or scratched Dreamcast discs now have an additional option to relive these Capcom classics. 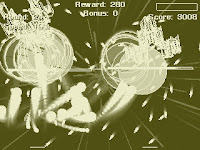 Fractal Fighter is a new vertical shooter by cactus which features a limited palette of only two colors. Each boss consists of different weapon parts that the player has to destroy in sequence, randomly created using a tree generation code. 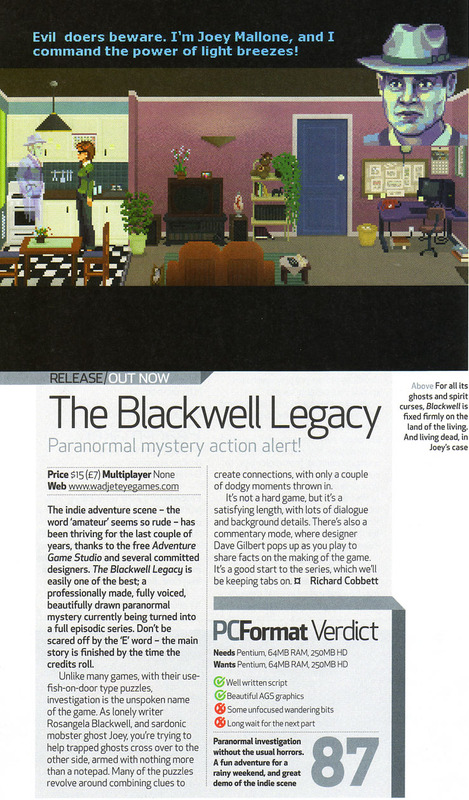 A commendable effort especially when considering that the author spent less than a day to create the entire game from ground up. One of the developers of Prominence, an upcoming adventure game made with the SCream engine that powered Scratches, was recently interviewed by ACG. Chris Och (Super Stun-N-Run) is working on a new Metroid-like project currently titled Buckshot Sagebrush. Richard Jordan (Zub, Klass of 99) and Andy Noble recently interviewed by Auld Games. 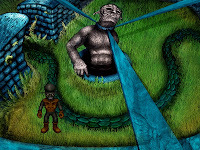 Don't Get Me Down, Man is another Pug Fugly creation made as a tribute to classic games of old. 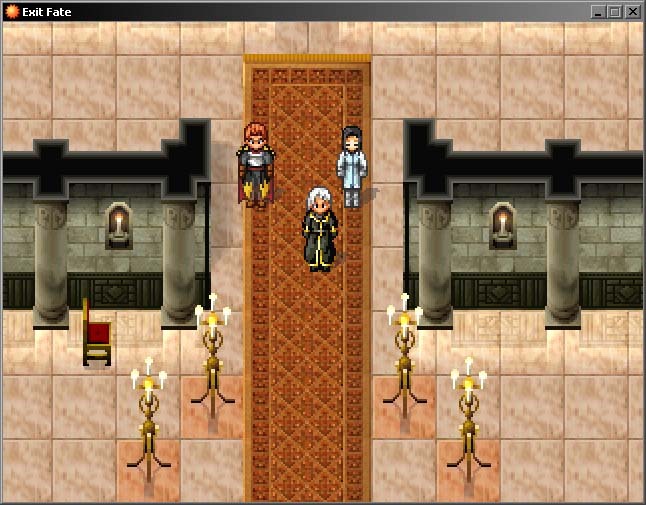 Use the arrow keys to move your protagonist around and collect the glowing objects for bonus points. The game ends if you accidentally bump into an enemy. Comes with an online high score table. 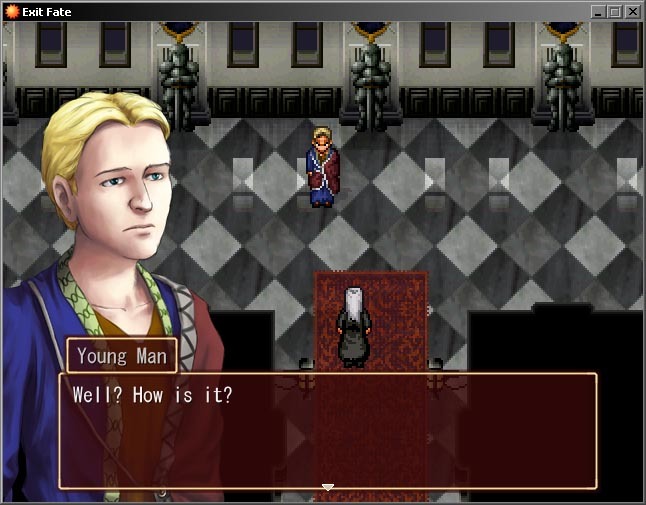 Masq is an interactive novel which resembles Facade, but minus the boring guesswork as every dialogue option and actions are laid out for you to choose from in each scene. 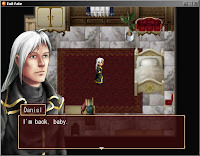 The story is much more interesting as well, and players can expect to discover a new scenario or ending when a different path is taken. Recommended for adventure and IF fans. 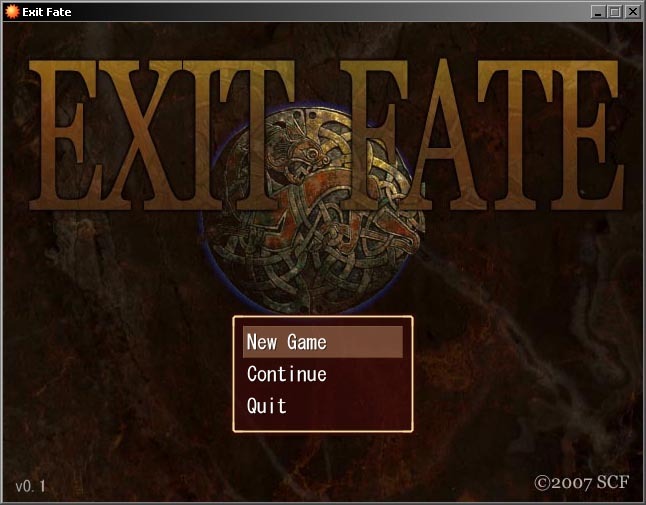 - Exit Fate is made using RPGMaker. 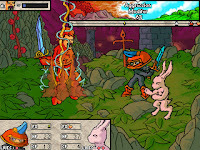 - All character battle sprites, portraits and special images are original. 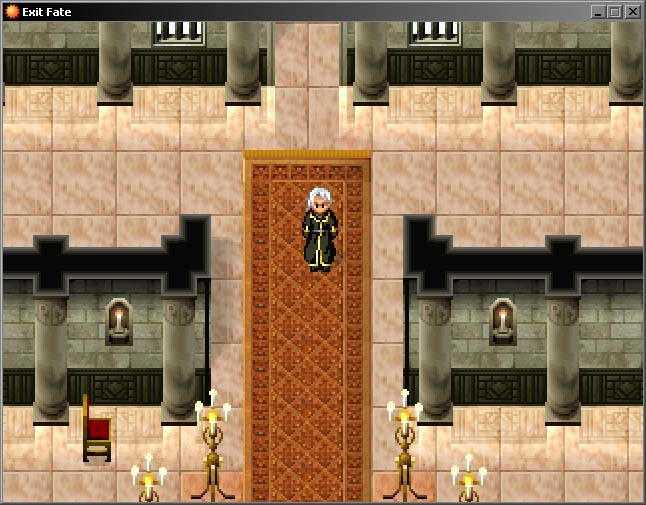 - Nearly all enemy sprites and bosses are original. 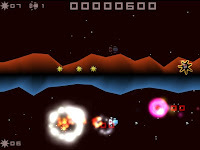 Cluster Funked is another strategic shooter by Jph which features similar gameplay elements from Gyro-Phyter. Your first task is to take control of a red well, which will then produce green units for deployment and defensive purposes. Tap the K key to shoot, and use the J or L key to strafe. Rapid fire can be activated by holding the fire button, but will cause the gun to heat up and locking your weapon until the cool down period passes. Your ship can grab up to five green pawns using the I key, indicated by triangles around your craft. To respawn, simply move towards any green well on screen. 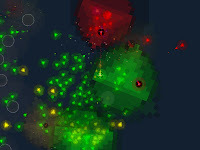 Gyro-Phyter is an abstract shooter by Jph with strategic elements. 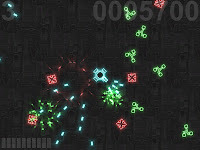 The objective of the game is to weaken the green wells and turn them red, though the green side's defensive turrets will try their best to thwart your efforts. 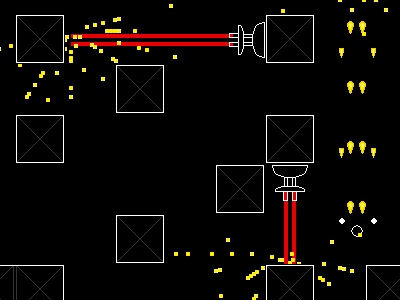 Use the arrow key to move your ship around, and tap the I key to place a red turret. To retrieve a turret, simply hold the I key for a few seconds. Red turrets destroyed in combat will float back to base for the player to collect and redeploy on the battlefield. Ammo is limited, but can be replenished by hovering above the base. Use the J or L keys to strafe, and hold the K key to shoot. If you lose a ship, another will respawn back at base. 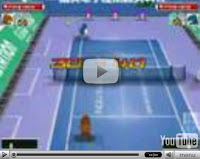 The number of lives left is indicated at the bottom left of the screen. Immortal Defense is available free at the Game Giveaway of the Day for the next 14 and a half hours, so if you wanted to finish the story but couldn't afford the game, go get it while you can! Okay, maybe not Clean Asia II. But nearly a sequel in a sense. It's cactus' shmup-dev game number two. This time the game seems to be very retro. 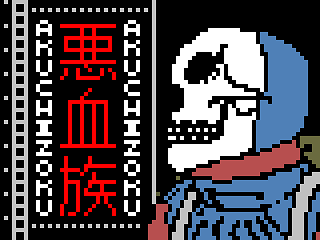 The title is "Akuchizoku", which is bad Japanese for "Evil Blood People". The current plan is to have it play for five very different levels, with the possibillity of an additional small bonus level or two. 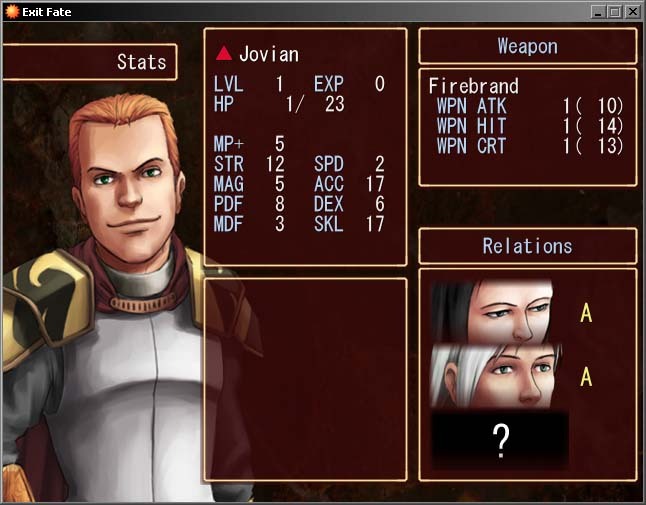 You get to pilot at least five different fighters, and the game will have a custom made score by John Marwin plus an in game storyline. And it will be shareware, because both authors are apparently in need of funds. However, there is no price on the game, instead the "customer" makes a donation of at least $1 to get his copy of the full version. Generous donators will be extremely appreciated and therefore get their names in the credit (and possibly a few subsequent cactus games for free, if the economic situation allows it). For those who feel that games should be free to play, there'll be an optional demo version with a bit over 60% of the content from the full version available for download. Note that the full version will probably be released for free whenever there's no point in requiring donations anymore. So anyone who "buys" the game shouldn't consider it that way. Look at it as a donation, and feel that you've done a good deed instead.